The third iteration of PlayStation's VR digital demo disc has arrived, and this time it contains some of the most impressive uses of the technology so far – including Astro Bot, Resident Evil 7 and Moss. Sony's Playstation Experience may have ended but that doesn't mean that the announcements have slowed down at all. Here are 12 titles that may have escaped your attention. DRAGON QUEST HEROES II, Little Nightmares, Outlast Trinity, PuyoPuyo Tetris, Sniper Ghost Warrior 3, and Valhalla Hills – Definitive Edition, Period Cube: Shackles of Amadeus, Syberia 3, and Job Simulator this week. It's far from the only video game award show, but because of the outlets involved and its secondary duty as a teaser trailer landing spot, The Game Awards have made a name for themselves with the industry. Welcome to another edition of the TrueTrophies Podcast! This week, we spend a lot of time talking about VR, discuss the announcement of a sequel to a beloved game, and ruminate on which fart filled Special Edition we'd like. There were many, many games and a fair amount of hardware at EGX this year but there was just one thing that I personally just had to try out: Playstation VR. 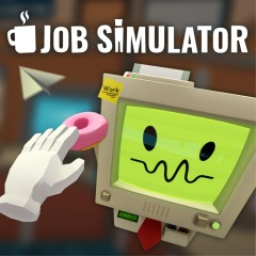 The first Owlchemy Labs Simulator game with trophies was Job Simulator, which was developed and published by Owlchemy Labs and released on 13 October 2016. The next Owlchemy Labs Simulator game scheduled for release is Vacation Simulator for PlayStation 4, on 18 June 2019.